Unit 17 – The sun plays music: The analog input. Beside the digital input we also can use the analog input. It is great to read potentiometers (knobs) or sensors. Think of the temperature or brightness – it is not on or off but has a certain value. Brightness can be detected by so called photo-resistors. A photo-resistor consists of a material changing it’s resistance depending on brightness. The more light, the smaller it’s resistance gets. 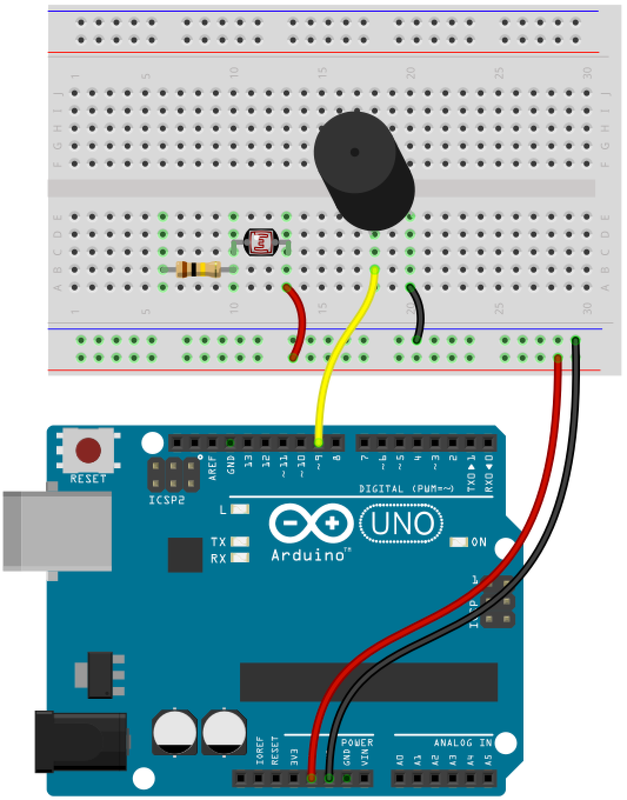 We can read out this sensor with the Arduino board. 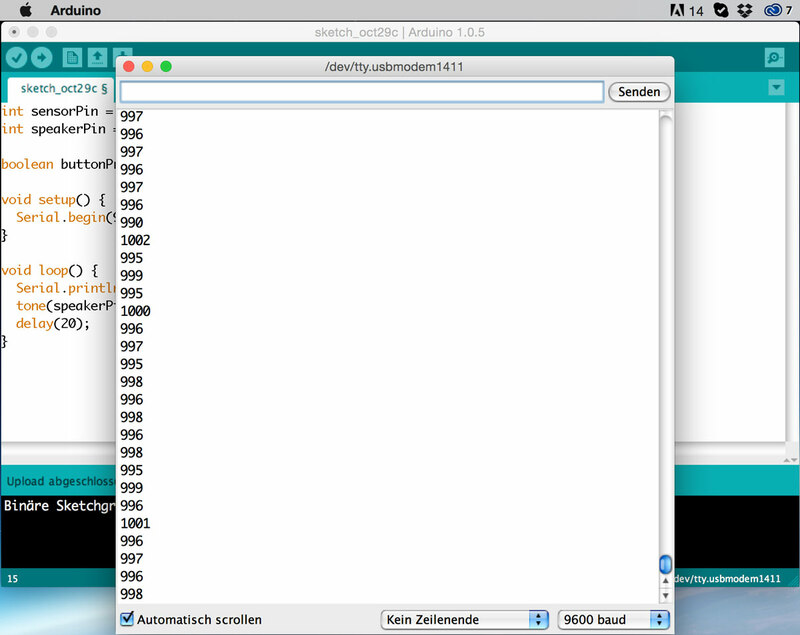 It will return a value between 0 and 1023. 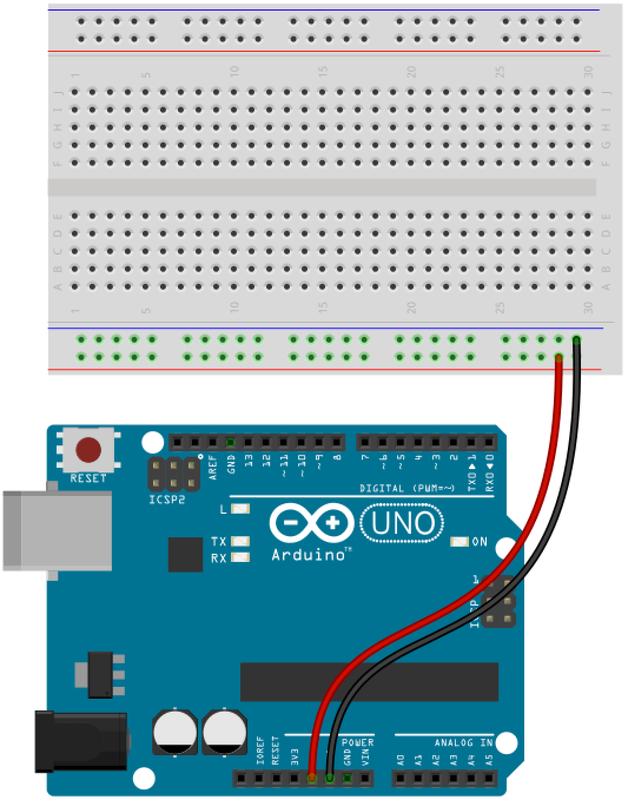 We need to use the Analog input pins of the Arduino. They are on the on the opposite of the digital pins. 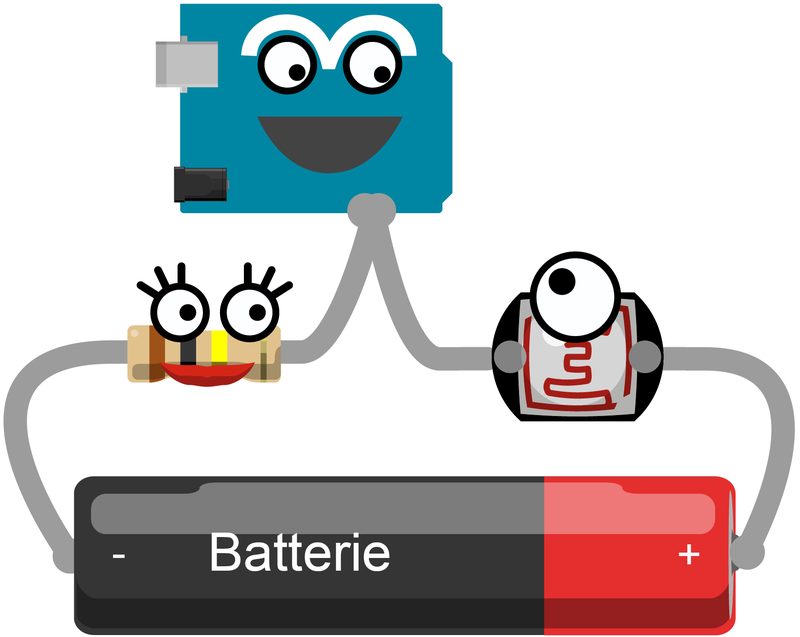 To use the photo-resistor you will need an additional resistor. It is called a reference resistor and Arduino needs it to detect a relative relation between the photo- and the reference-resistor. The reference resistor should have the resistance of the photo-resistor while average brightness. But you can just try which resistor works best. Start with 100 Kilo-Ohm. Super. Now, we’ve got a reference resistor (100 kOhm) and a photo-resistor. 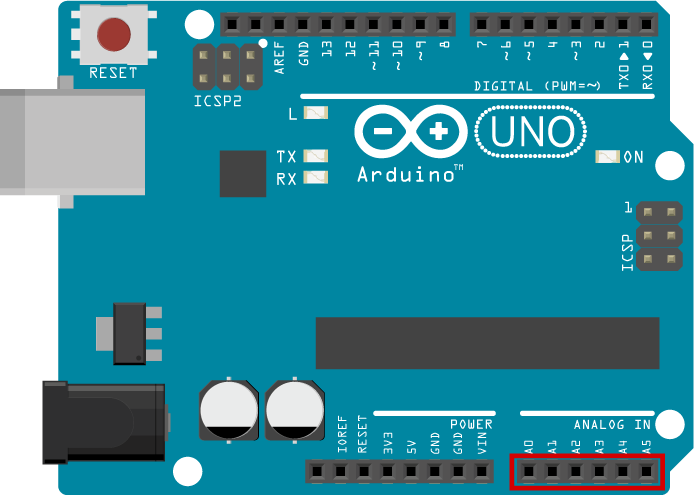 They are connected to the Analog 0 of the Arduino. That’s it! Not bad, no? But what values are actually reached? 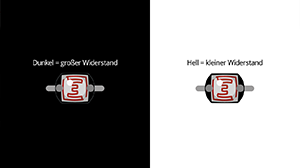 We just hear the sound but wouldn’t it be good to display the values of the photo-resistor? in the setup()-method. The 9600 is the Baud rate – the speed of transmission . And where can we see this data? 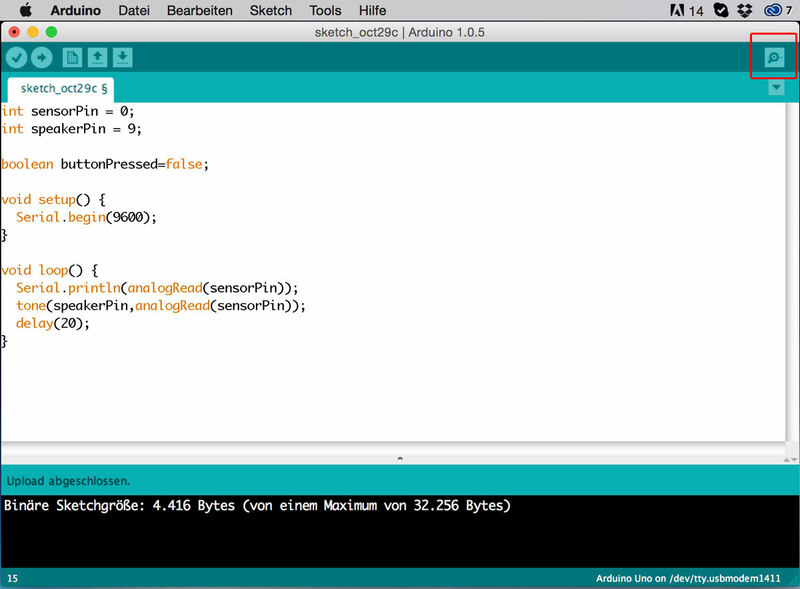 Klick on the magnifying glass top right in the Arduino software (or click on Tools>Serial Monitor in the menue). A new window is opened: The Serial Monitor. What values do you get? Do they use the whole range from 0 to 1023? Usually not, but a range of 600 to 900 would be totally OK.